TriBridge Residential has resubmitted plans for 500 Atlantic, a mixed-use pedestrian-oriented development located near the intersection of Atlantic Boulevard and 3rd Street in Neptune Beach. Formerly the site of K-Mart, the strip mall has been only 45 percent occupied since 2016. The re-development will transform the site into a mix of residences, shops, a grocer and restaurants. Newly-constructed streetscapes and trails will create walkable connections to the adjacent Beaches Town Center and the larger community. After holding a number of community meetings and gathering public input for several months, TriBridge and its development team went back to the drawing board to make sure the propsed neighborhood would fit within and offer maximum improvements to the Neptune Beach community. The entire project was re-designed to address such concerns as privacy, density, parking and traffic, with $2.3 million sourced toward improving community infrastructure. Multi-family density reduced by more than 25 percent: The number of residences has been reduced from more than 300 to 230, decreasing the amount by more than 25 percent. This results in 14 units per acre; code allows for 17 units per acre. Parking built per code: All required parking will be provided, and no parking variances will be sought. Reduced building height and increased landscape buffer: Privacy factors in the design of the buildings include privacy screens at all courtyards, an enhanced landscape buffer that exceeds requirements along the adjacent single-family neighborhood property line, no balconies facing the single-family neighborhood and a reduction in the number of stories from three to two in areas closest to the existing neighborhood. Maintain 110-foot buffer to single-family property line: The development is situated 110 feet away from the adjacent single-family property line. Proposed traffic light installed on Atlantic Boulevard: There have been favorable discussions with the Florida Department of Transportation to install a traffic light at the entrance to 500 Atlantic to assist with traffic calming measures. 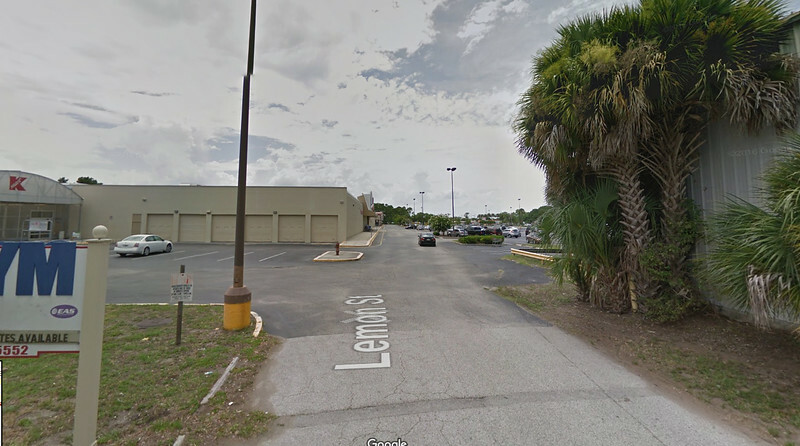 **Addition of safe pedestrian crosswalks over Atlantic Boulevard: ** Pedestrian crosswalk improvements and additions are proposed at the intersections of 3rd Street at Atlantic Boulevard and 3rd Street at Lemon Street to enhance pedestrian access to the Beaches Town Center. **100 percent funding for trail to Jarboe Park: ** 100 percent funding has been secured to create a multi-purpose trail connecting Lemon Street with Jarboe Park, the Beaches Branch Library and nearby neighborhoods. Replacement of Neptune Beach’s aging infrastructure: One mile of sewer infrastructure along Forest Avenue will be replaced, addressing an existing overflow problem and replacing aging infrastructure that currently impacts Neptune Beach Elementary, the Neptune Beach Senior Activity Center and surrounding areas. **Improvement of water quality: ** The reduction in impervious area and a stormwater pond on site will aid in the management and improve the quality of water flowing into nearby streams. TriBridge Residential anticipates breaking ground on the project during the first quarter of 2019 and completing the development by the four quarter of 2020. For more information about 500 Atlantic, visit www.500atlantic.com.